EDF is working in China not only because of its global importance, but also because we believe the country is in a unique moment for transformative change. China has made ambitious commitments under the 13th Five-Year Plan to improve fisheries management. These include improving the scientific foundation for fisheries management, monitoring fishing activity and catch, enhancing the responsibilities and incentives of fishing fleets and communities and strengthening protection of marine ecosystems. To achieve these objectives, China is working to both learn from international experience and share its own experience by building international collaborations. These efforts are critical because China’s marine resources have suffered from a variety of impacts, including overfishing, pollution, coastal development and unchecked growth of aquaculture. Climate change is affecting marine fisheries the world over, and presents a major threat to EDF’s vision of reviving ecological, economic and cultural prosperity in global fisheries and fishing communities. Accordingly, developing and implementing the tools needed to make fisheries climate-ready is a core component of our work. 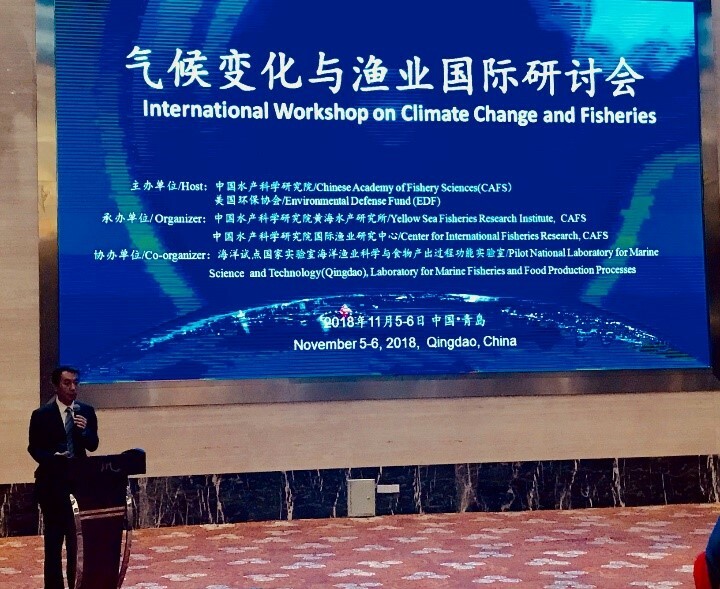 CAFS President Cui Lifeng addresses speakers and participants at the workshop, highlighting the vital role that fisheries and aquaculture play in China’s economy and culture, the urgency of understanding and responding to climate impacts and the importance of new partnerships like the one between CAFS and EDF in rising to these challenges. At the confluence of several major ocean current systems, Japan’s ocean environment experiences particularly strong effects of global regime shifts, with especially pronounced impacts on larger species of fish such as Pacific cod. The workshop not only addressed the expected impacts of climate change, but also considered promising solutions. In particular, several reports reinforced a critical message: One of the most important responses to the adverse effects of climate change on fisheries is to improve our fishery management systems using approaches that should be adopted even if climate change was not unfolding. 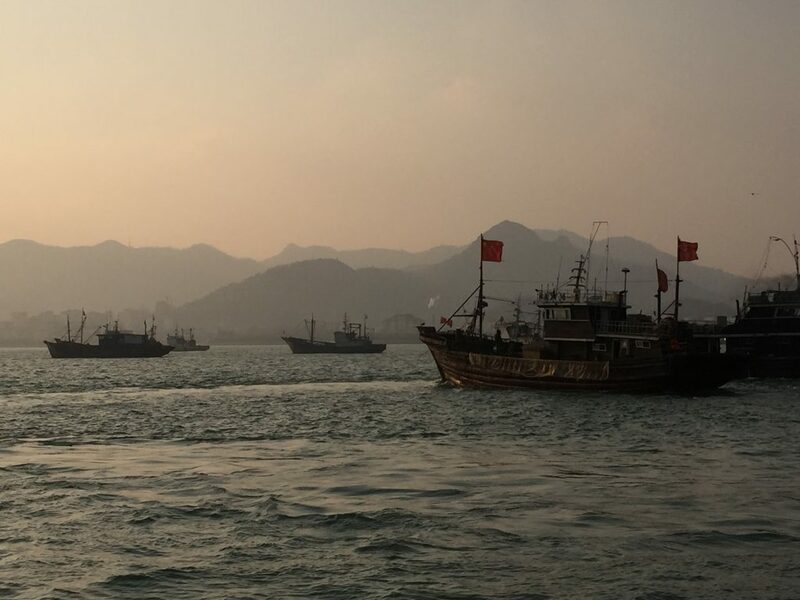 These include setting and enforcing sound science-based limits, creating incentive structures that align environmental and economic outcomes, and other elements of China’s fisheries reform agenda. Many fisheries have been underperforming for a long time, even before significant climate effects have taken hold. Recovering lost productivity through sustainable management will offset some of the losses expected due to climate change, with some fisheries potentially performing even better in the future. In addition to wild fisheries, the workshop also considered climate effects on aquaculture, where China’s dominance is even more pronounced. The Yellow Sea Fisheries Research Institute (YSFRI), one of CAFS’s flagship science centers, is a leader in developing innovative approaches for aquaculture production in a changing ocean. In particular, YSFRI is pioneering the concept of integrated multi-trophic aquaculture (IMTA), whereby different species are raised together in ways that promote more efficient nutrient cycling and waste processing. Those efficiencies can help counterbalance the strains introduced by climate change, along with selecting the most climate-resilient species to raise. Across the reports delivered at the workshop, it was clear that climate change will compel us to not only implement existing scientific and management approaches more effectively, but also to develop new approaches in response to the complex ecological dynamics that are evolving. A critical component in building the scientific, management, marketing and communication systems needed for resilient and productive fisheries and aquaculture will be harnessing the power of emerging technologies. 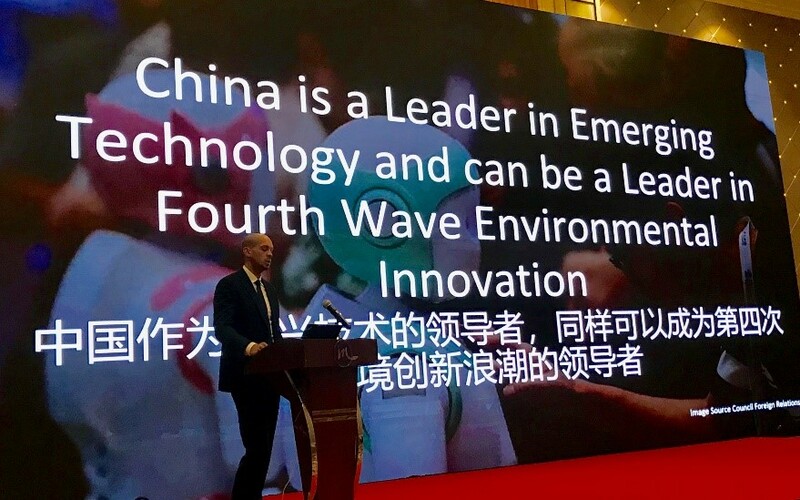 Technology expert Garren Givens surveys the many ways that technology is revolutionizing environmental stewardship in the Fourth Wave, promising applications in fisheries science and management and China’s important role as a world leader. Indeed, the revolutionary power of technology has come to define the Fourth Wave of Environmentalism currently underway, with networks, sensors and machine learning coming together to transform agriculture, water management, greenhouse gas emissions and more. Those committed to ocean stewardship are also embracing Fourth Wave innovation, and the workshop considered how satellites, micro-sensors, ecosystem models and other tools are helping to navigate our response to climate change. The challenges outlined in the workshop certainly seem daunting. However, it was also clear that our scientific understanding has advanced considerably, and that there is a diverse and energetic community of science and management practitioners in China and across the globe working to meet those challenges. Our partnership with CAFS can help to focus that community toward the most pressing problems and the most promising solutions, and ultimately to map a clear path forward. The future of healthy, vibrant fisheries and the communities that depend on them, necessitates that we address the challenges of a changing climate in China and across the world. I, for one, am optimistic that we will do just that. This entry was posted in Global Fisheries, International and tagged CAFS, China, Climate change, collaboration. Bookmark the permalink. Both comments and trackbacks are currently closed.